Make sure drivers know how to transfer ELD data roadside to enforcement officials. The top driver-related violation from last year’s Roadcheck, the annual commercial vehicle inspection blitz, was for hours of service (32.3%), so the focus for this year’s event (June 5-7) is hours-of-service compliance. And of course, with the electronic logging mandate having been in effect for less than a year, there no doubt will be a lot of focus on ELD compliance as well. Joe DeLorenzo, the chief enforcement official at the Federal Motor Carrier Safety Administration, said ELD compliance “seems to be going in the right direction.” Of all the inspections performed since April 1, he said, less than 1% of those inspections showed a violation for not having an ELD when required. Nevertheless, there are still plenty of opportunities for confusion at roadside, with continuing misconceptions about the difference between ELDs and grandfathered automatic onboard recording devices. So we spoke with John Seidl, a former enforcement official who now helps fleets stay compliant in his job as VP of risk services at Reliance Partners, about his top tips for fleets heading into Roadcheck when it comes to hours of service and ELDs. There have been anecdotal reports of confusion during roadside inspections relating to the fact that drivers subject to the ELD mandate could be running an ELD, or they could be running an automatic on-board recording device, or AOBRD, under a grandfather clause. But the regulations for ELDs and AOBRDs have some significant differences, including whether they must be able to transfer data at roadside, and even down to the documentation required to be kept in the truck. AOBRDs are allowed to be used instead of ELDs up until December 2019 – if fleets were using them before the 2017 ELD deadline of Dec. 17. And the latest guidance allows a motor carrier that installed and required its drivers to use an AOBRD before Dec. 18, 2017, to install and use a new ELD-capable device that runs compliant AOBRD software until the December 2019 full compliance deadline. 2. Be able to prove it you’re running a grandfathered AOBRD. He also suggests that you print out a copy of the FMCSA’s ELD FAQs, in particular page 6, question 6, about enforcement procedures for AOBRDs. This explains that AOBRDs are to be enforced under the previous AOBRD regs, not the ELD ones. 3. Be ready to explain and prove your exemptions. If you are operating under any ELD or hours of service/logbooks exemption, such as trucks with older engines, the air-mile radius exemptions, or the eight days in 30 exemption, Seidl recommends making sure drivers understand the exemption they are running under and can explain it to the officer, as well as having proof in the truck where applicable. 4. Make sure drivers have the right documentation in the truck. The requirements for what documentation must be kept in the truck is different for AOBRDs than it is for ELDs. (2) A supply of blank driver's records of duty status graph-grids sufficient to record the driver's duty status and other related information for the duration of the current trip. Note that it does not say you need eight days of blank logs (although as a practical matter it would make sense to just have that many anyway), and the instruction sheet is fairly general. (4) A supply of blank driver's records of duty status graph-grids sufficient to record the driver's duty status and other related information for a minimum of 8 days. Seidl notes that you don’t need the motor carrier’s ELD instruction book. And although the agency has said that electronic versions of this documentation is fine, make sure the driver knows how to access it. 5. If you’re running ELDs, make sure drivers know how to transfer the data file. This has been one of the most common issues we’ve heard of during roadside inspections. Make sure drivers not only have an instruction sheet telling them how to do this, but that they also can actually complete this task. 6. Watch out for connectivity problems. 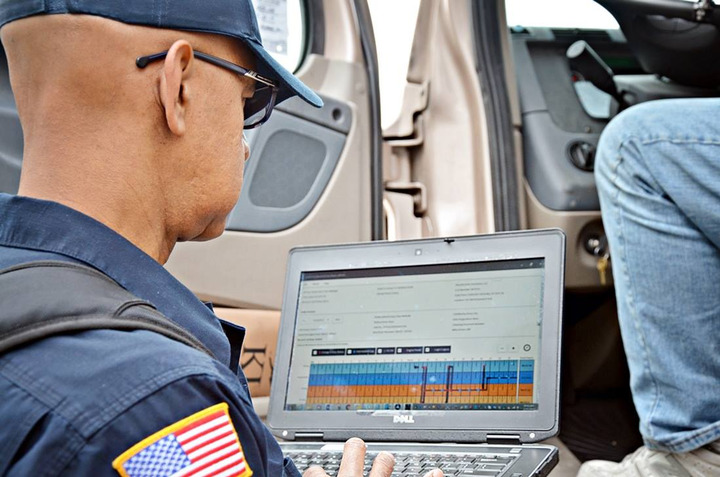 The biggest malfunction with bring-your-own-device ELDs or AOBRDs is connectivity issues, Siedl said, with Bluetooth not connecting properly to the device that transmits the data from the engine. “If you get pulled over and it’s not connected and the officer deems that to be a malfunction, you’d better have paper logs filled out,” Seidl says, to comply with the rules about “sensor failures” with AOBRDs or “malfunctioning devices” under the ELD rules. “Will people get cited for failing to complete paper logs during periods of malfunction or sensor failure? Yes,” Seidl said. 7. Hold off implementing new personal conveyance guidance. The FMCSA on May 31 announced new guidance on personal conveyance rules under hours of service. Seidl predicts there will be a great deal of confusion with drivers, carriers, and enforcement officials in figuring out these new wrinkles and suggests that fleets hold off implementing policies allowing their drivers to take advantage of personal conveyance to find safe truck parking until after Roadcheck is over.